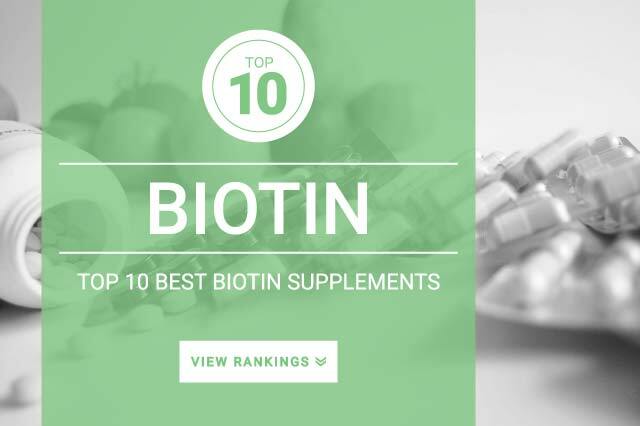 Onlinestrength analyzed 19 best-selling Biotin supplements in the United States, measuring total levels of key active ingredients biotin (vitamin b7) as well as heavy metals contaminates, preservatives, and filler ingredients. All 19 products exceeded biotin’s 5 mcg – 35 mcg Daily Value (DV) and because deficiency in biotin are rare, there is no Recommend Daily Allowance (RDA) or Upper Limit (UL) hence why a majority of products contain 1000 mcg – 10000 mcg of biotin per serving. All supplements passed their ingredient quality standards we look for in our review methodology. Biotin is part of the B-complex vitamins and is an essential co-factor in a number of metabolic reactions within the body. Responsible for metabolizing the energy we get from food. Biotin is needed for breaking down fats, carbohydrates, and proteins. In recent years, clinical research studies revealed that increasing the amount of biotin within the body adjusts the cellular arrangement of the nail bed, reinforcing the structure allowing the nail to grow stronger and thicker. With only a limited amount of research supporting this claim, the effectiveness of biotin on nail health is highly speculative. All excess amounts of biotin similar to other vitamins is excreted through urine; no toxicity symptoms have been reported. The ideal intake of biotin currently not known. If you’re looking to increase the strength and health of your nails and hair, 2,500 mg per day will suffice.